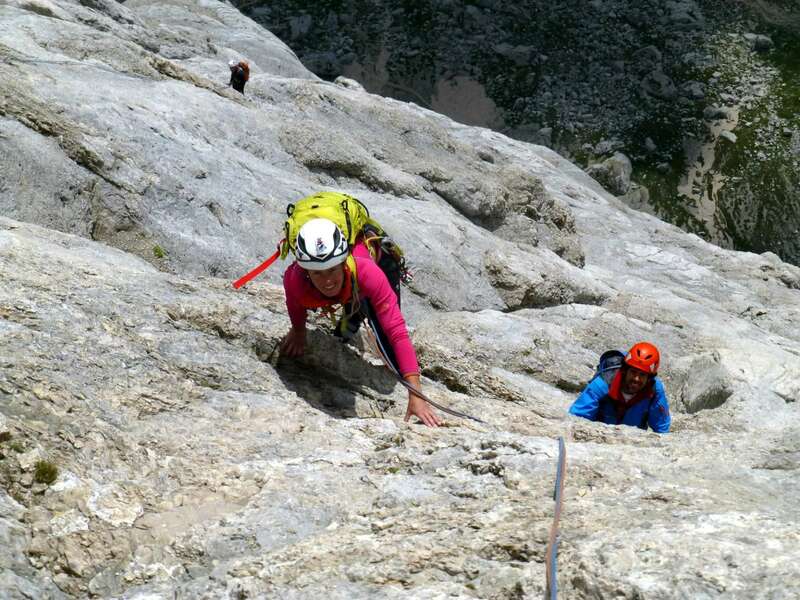 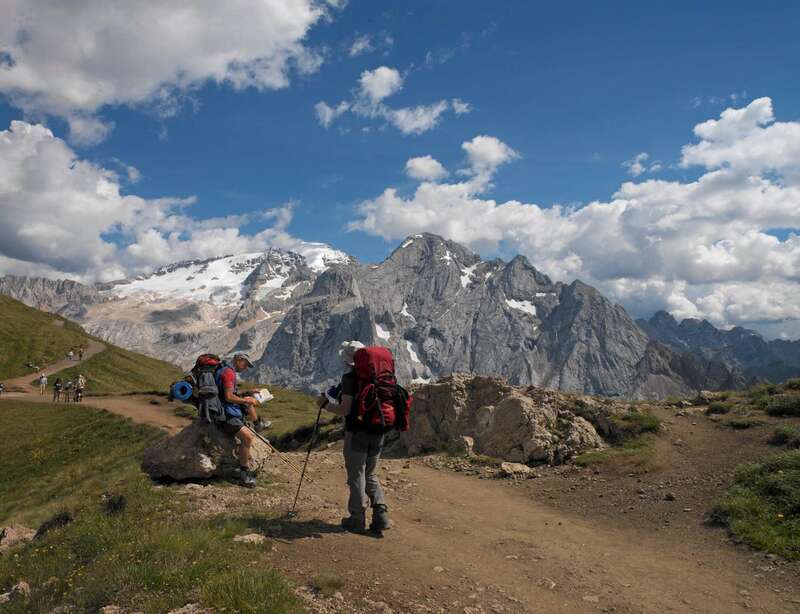 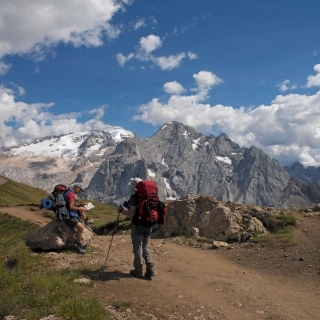 The ski trails, which are snowy in winter, give way to green summer meadows beautified by thousands of flowers, a paradise for hiking, nordic walking, sports climbing and walking fans. 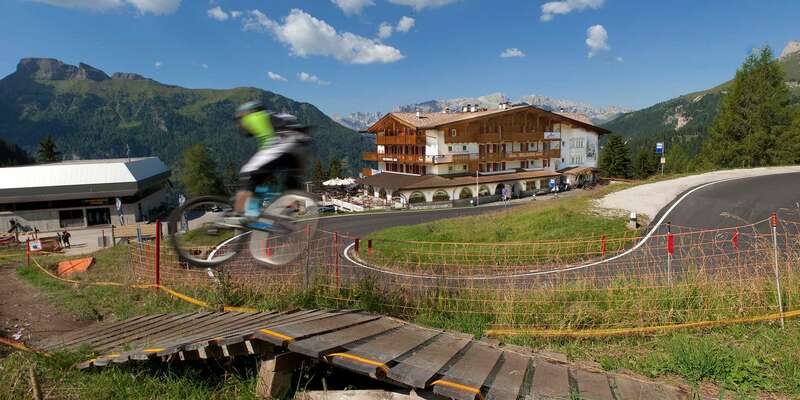 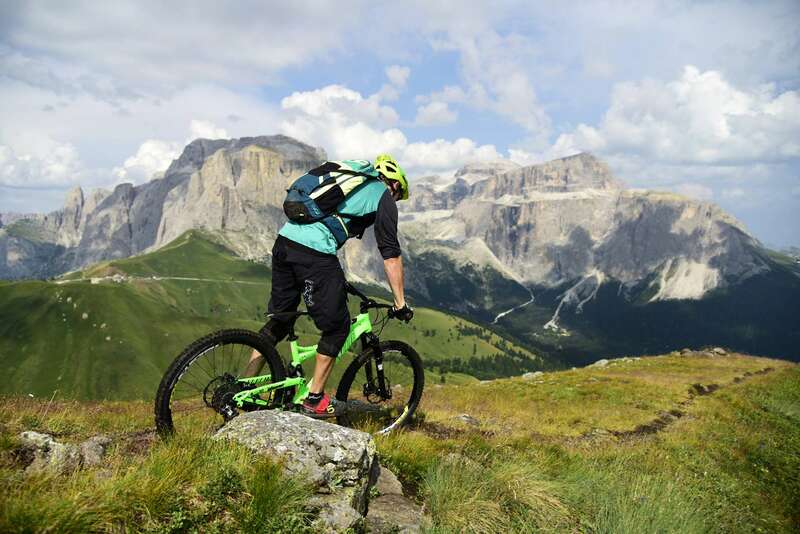 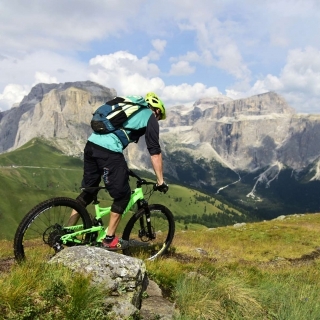 This is also a haven for lovers of mountain biking, and you will find the downhill trail right in front of our hotel. 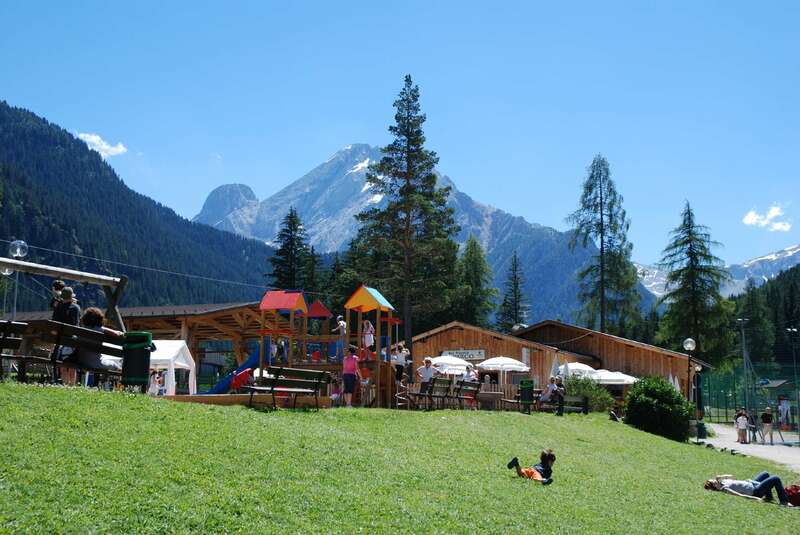 For swimming and pool lovers, nearby Canazei offers the Dòlaondes Aquatic Center, a pleasant getaway for all. 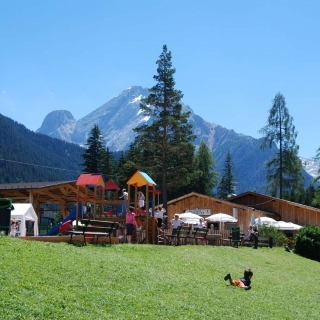 Summer in Canazei also offers interesting cultural and folklore events such as the Gran Festa da d’Istá festival and the now famous “Te anter i Tobié”. 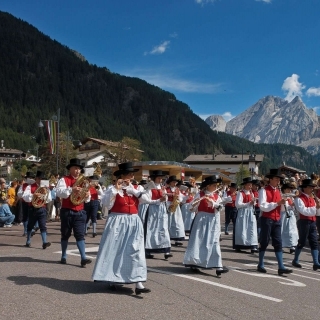 The latter, which takes place in July, is set along the old streets of the town, a living theater presenting the traditions and costumes of the Ladino culture. 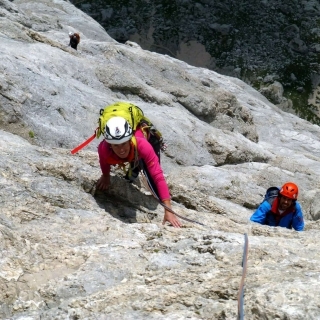 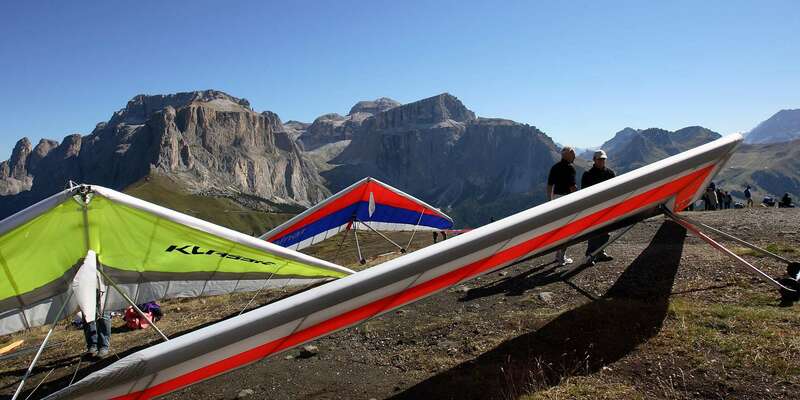 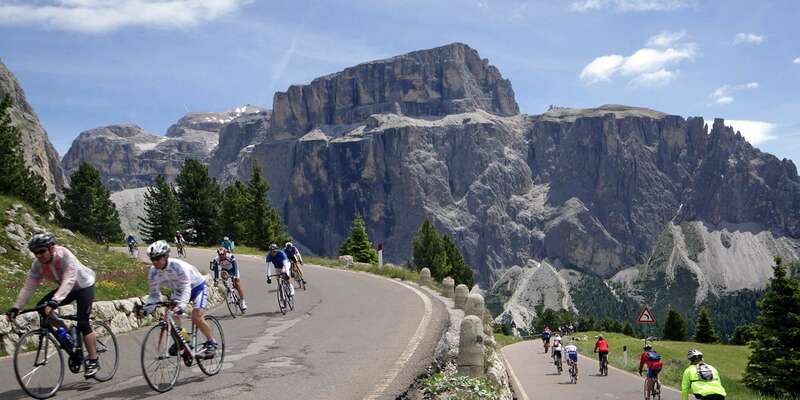 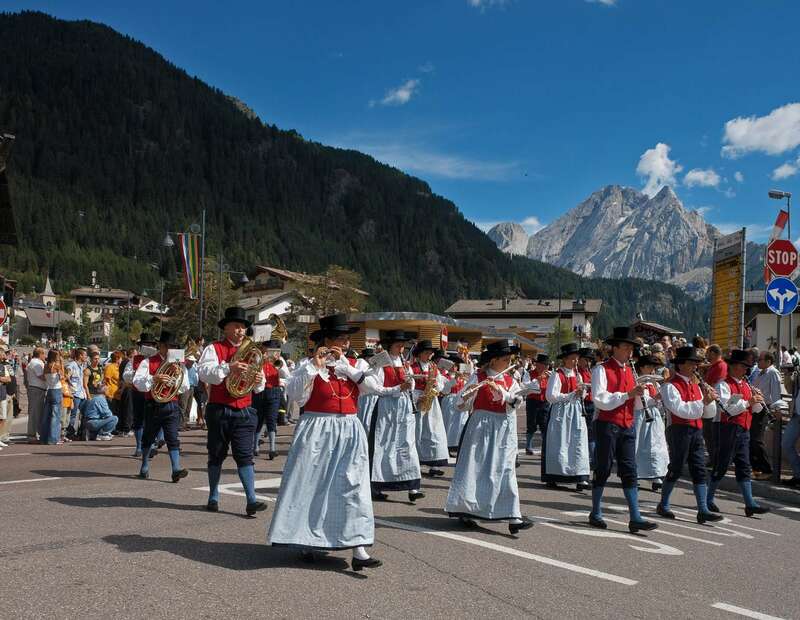 Events such as “Canazei Sotto le Stelle” (“Canazei Under the Stars”) offer musical and oenogastronic evenings and “Snow Shows” and summer spectacles in which the Marmolada di Canazei ski teachers perform in the streets of this Alta Fassa town, showing off their spectacular leaps and maneuvers on the snow.